List of cities in Kentucky – Kentucky is a state in US, located in east south-central of United States of America’s region. Kentucky constituted as commonwealth. Its often known as Bluegrass State. The capital city of Kentucky is Frankfort, while its largest city is Louisville. In this article, we will provide list of cities in Kentucky (city, town, village) by its population size, sorting alphabetically. Total area in Kentucky is 40,409 sq mi, ranked 37th of all 50 states in US. While its population size is 4,45 million, ranked 26th of all 50 US states. Officially, Kentucky is known as Commonwealth of Kentucky. Currently there are 419 cities in Kentucky. There are two classes of city in Kentucky, based on their form of government, which are first-class and home rule class. Below are complete table list of cities in Kentucky alphabetically along with its county and resident population size (city and town). 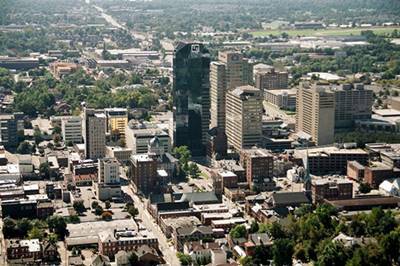 Overall there are 419 towns and cities in Kentucky, including its capital Frankfort and its largest city Louisville. Kentucky also known by other things such as horse racing, moonshine, coal, automobile manufacturing, bluegrass music and of course the best for last, Kentucky Fried Chicken (KFC).